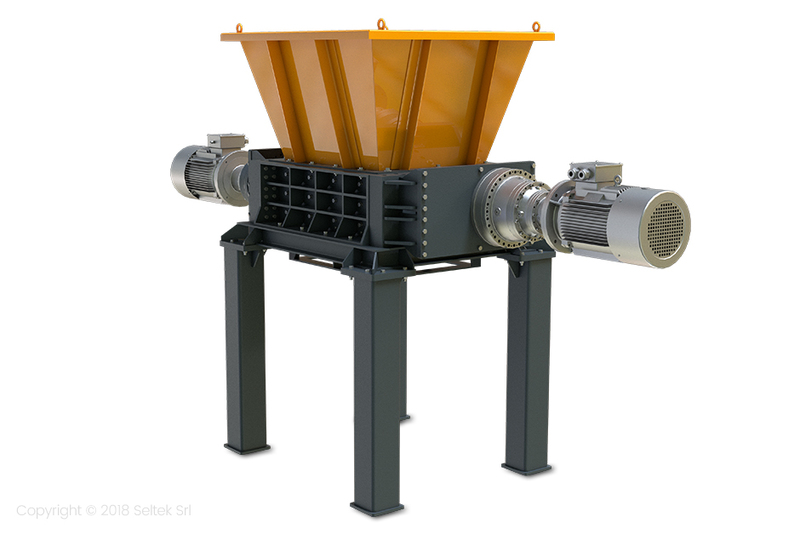 The Stokkermill range of electric or hydraulic double-shaft industrial shredders has been designed for the grinding of many types of materials, in particular for the first volumetric reduction. The special design of the blades and the control of production parameters allow to control the size of the material in the output, although double-shaft shredders are generally not equipped with a classifying grid. Extremely versatile and made for intensive use, the D series shredders are the result of a cutting-edge project that aims to create efficient and versatile machines.